The X6 by AC Schnitzer appears at the 85th Geneva Motor Show exactly how you’d expect from the Aachen-based tuning specialists – unrestrictedly powerful! With performance upgrades to 309 hp on the X6 30d, 360 hp on the X6 40d and 35i, and a legendary 525 hp on the X6 50i, AC Schnitzer displays a new dimension of power in the BWM universe which is reflected visually in the AC Schnitzer engine styling. Scope of delivery of every AC Schnitzer performance upgrade includes always a two years guarantee which can be upgraded up to three years. 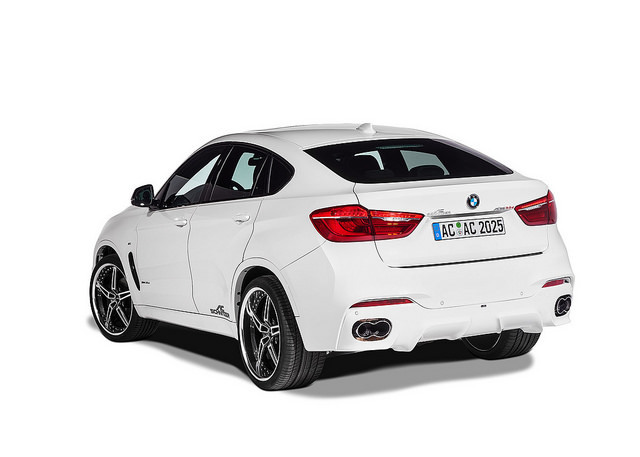 AC Schnitzer twin silencers or single silencer, with twin “Racing” tailpipe trims in right/left combination, give the BMW X6 in the AC Schnitzer version an acoustically impressive presence on the road. The AC Schnitzer suspension spring kit provides an unrestrictedly sporting road position and optimum power development, with lowering by around 30 mm at the front and around 20 mm at the rear. 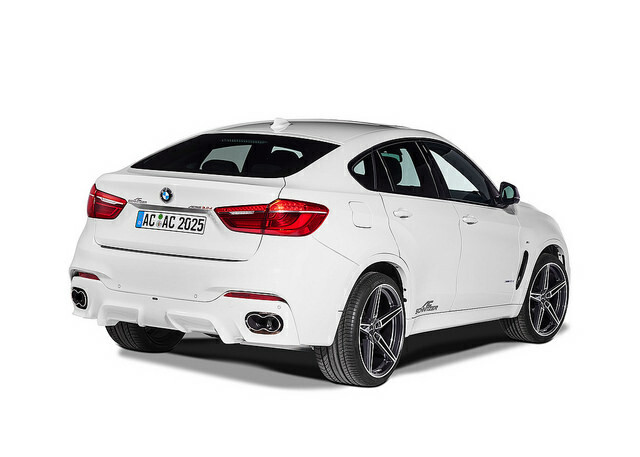 Naturally the aerodynamic package from AC Schnitzer includes front skirt, rear diffuser, AC Schnitzer bonnet vents in export version with optional chrome elements, new carbon mirror covers and rear skirt protective film. 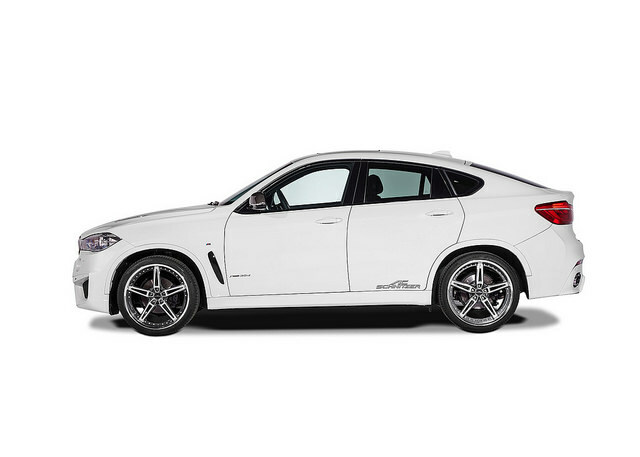 These not only make the X6 stand out visually, but also provide more power thanks to the perfect air flow. 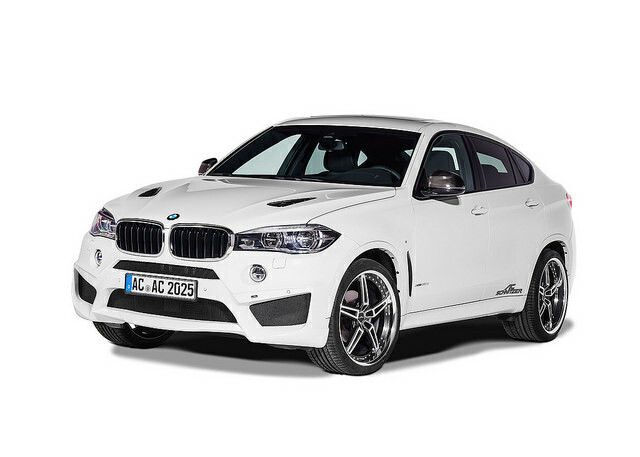 The interior of the BMW X6 by AC Schnitzer reflects style and design rather than power. Aluminium pedal set and foot rests, keyholder and velours foot mats are available to enhance the interior further. In March, the Aachen-based tuning specialists head off to Geneva with various wheel sets in their luggage: the X6 by AC Schnitzer cuts an equally fine figure on Type VIII forged racing rims in 21, 22 or even 23 inch, on Type VIII rims in BiColor black, silver or anthracite in 20 inch, Type V forged alloys in BiColor or anthracite in 22 inch, or also on Type IV rims in BiColor black in 20 inch. Brand new to the range are the AC1 wheels in BiColor Anthracite or matt Anthracite by AC Schnitzer, which celebrate their premiere at the Motor Show. The Aachen designers have reinterpreted the classic twin-spoke design and developed a sporting hybrid look with a sophisticated, masculine style. 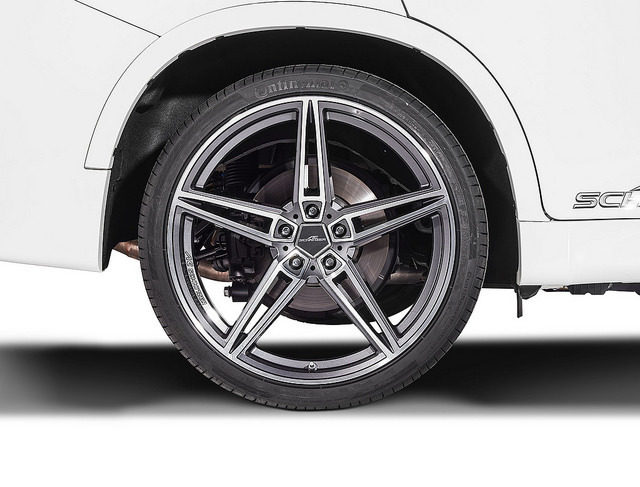 The new wheels are available as alloy rims in 20 and 22 inch, and as multipiece forged racing rims in 21, 22 and even 23 inch size. 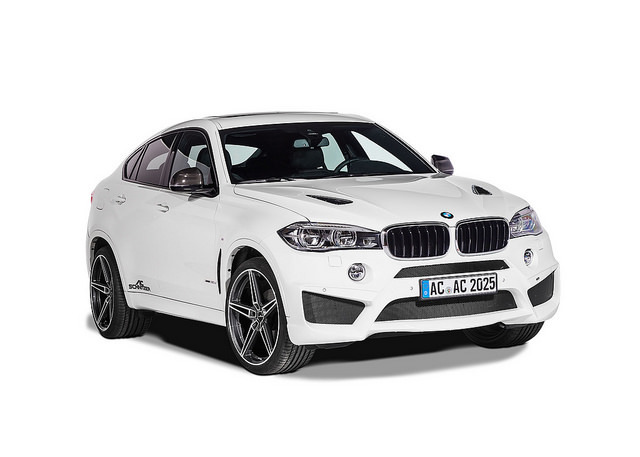 This new development puts the perfect finishing touch to the tuning product range for the BMW X6 by AC Schnitzer – powerful, unrestricted, sporting and masculine down to the last detail!